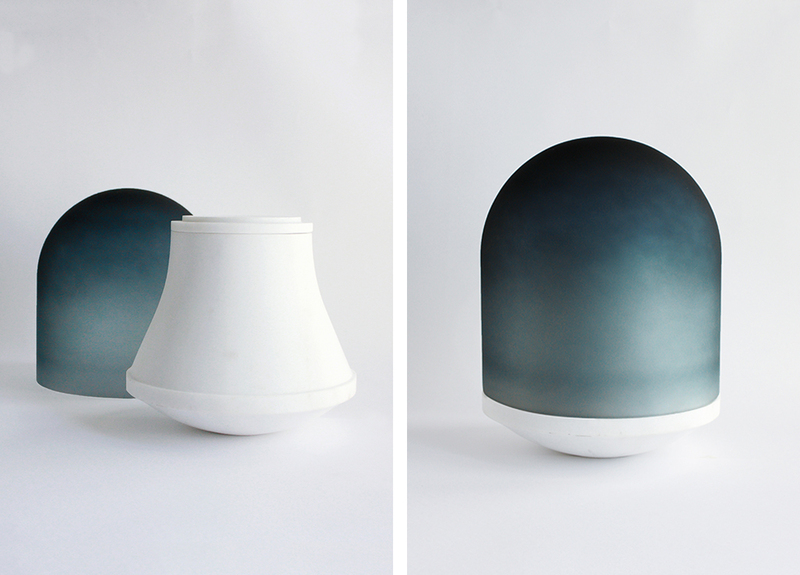 Considering the lack of burial plots and the increasing demand for cremation, the aim was to design a cremation urn that suits the contemporary home. 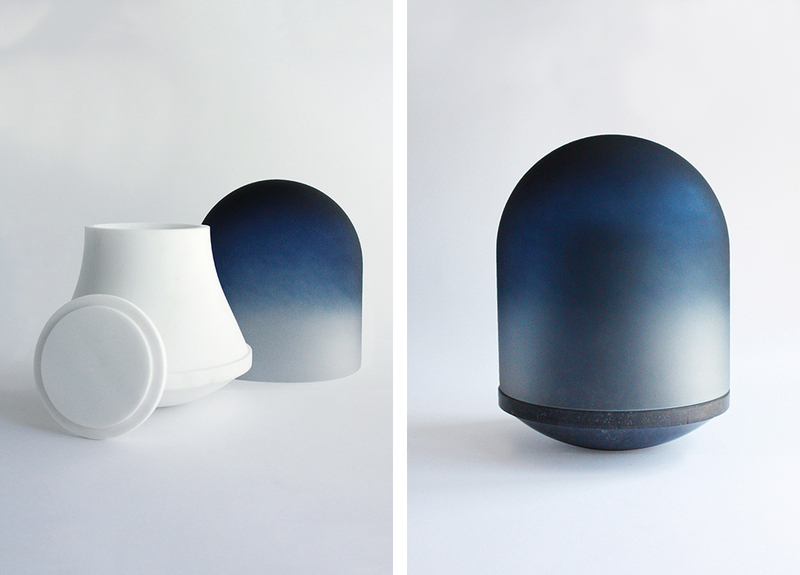 The Dome Urn aims to change the perception that cremation urns only belong in mausoleums or columbaria. Taking its name from the Latin word domus, meaning ‘house’, the Dome Urn was inspired by long-standing symbolic and architectural traditions associated with dome structures. 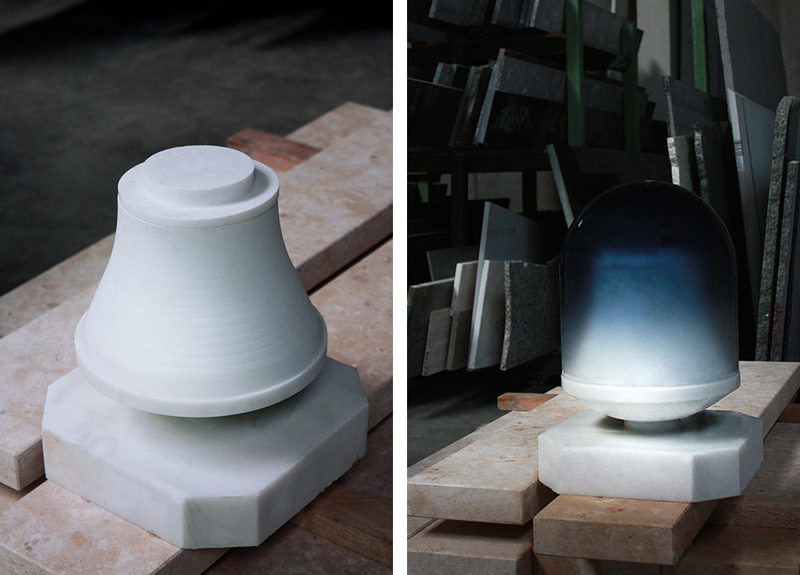 The Dome Urn has two components: an inner vessel crafted from Bianco Carrara marble and an exterior hand-painted glass dome with a fading deep blue ombré. The vacant space between the exterior of the urn and the interior of the glass feels like a contained spiritual atmosphere. The interior marble container appears as a ghost-like silhouette through the painted glass, which results in a powerful sensation of presence inside of the dome.